Give your projects “Eye” catching appeal! 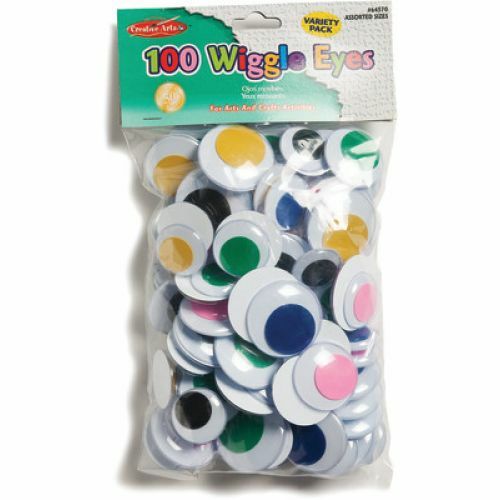 Wiggle eyes bring life to dolls, animals, toys and more. Round eyes feature a flat back for gluing. Assorted sizes: 28mm, 30mm, 35mm and 40mm. 100 per bag.